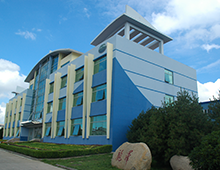 Qingdao Pacific Underwater Science and Technology Engineering Co., Ltd. is a sole proprietorship enterprise in Hong Kong. It was founded in 1992. It is an existing and separate company of Qingdao Pacific Ocean Engineering Co., Ltd. and one of the largest underwater construction enterprises in China. The company provides professional underwater engineering services, mainly engaged in underwater services of marine engineering and underwater services of water conservancy and Hydropower projects, and its comprehensive technical strength is in the leading level in the industry. The company has established a safety and quality assurance system according to the ISO 9001 standard and passed the ISO 9001:2016 quality management system certification. The company has the second-level qualification of diving operation, safety of diving operation and underwater engineering inspection issued by China Diving and Salvage Industry Association, and has been awarded recognition units and excellent unit members successively as the governing unit of China Diving and Salvage Industry Association. It also has the general contracting qualification of water conservancy and Hydropower Construction issued by the Ministry of Housing and Construction and the safety production license issued by the Provincial Housing and Construction Department. The company has participated in the compilation of Technical Regulations for Inspection and Assessment of Defects in Hydraulic Concrete Buildings, Technical Regulations for Repair and Reinforcement of Hydraulic Concrete Buildings (DL/T5251-2010, DL/T5315-2014), and Underwater Reinforcement Technology for Reservoir Dams, and has won a number of underwater technical patents approved by China Intellectual Property Office. International certification and perfect management, with multi-national classification society diving qualification certification, is China's classification society CCS certification of underwater engineering service agencies, and in 2004 received the "International Association of Diving Contractors" certification; at the same time, Norwegian classification society certification of "crew Management Office certification", "ship thickness measurement certification", "China National Offshore Petroleum Corporation". The accreditation certificate of contractor qualification and the certificate of national offshore oil safety intermediary agency issued by the State Administration of Work Safety Supervision and Administration have also joined the member units of the International Association of Diving Contractors (ADCI), the governing units of the China Diving Salvage Industry Association, the Qualification Accreditation Committee of NDT Personnel of the China Ship Inspection Bureau/the Underwater NDT Personnel and the Welder Examination Committee. Professional/academic committees include member units of the Association, member units of the China Ocean Engineering Society, member units of the China Dam Association, member units of the dam safety monitoring professional committee of the China Society of Hydropower Engineering, member units of the China Steel Structure Association and member units of the China Association of Foreign Contractors. So far, the company has provided more than 1000 underwater engineering services for the marine and hydroelectric industries, and has achieved good commercial reputation and economic benefits. The project involves underwater inspection and nondestructive testing, underwater reinforcement and reinforcement of dangerous dams, crack treatment, underwater construction, underwater plugging, silt removal, blasting, cutting, welding, underwater topographic survey and survey, sunken ship exploration and salvage, ROV underwater vehicle, deep atmospheric diving, helium-oxygen mixture diving, nuclear diving and other operations. It has repeatedly operated at high altitude, deep and nuclear radiation. Diving operations in such harsh environments did not cause a safety accident, and the quality of the project was all good, which was highly appraised by the owners. Over the years, thanks to the support and love of friends from all walks of life, business opportunities come in succession, benefits are diverse, and the scale of enterprises is growing. All employees have firmly established a simple idea that "to do something better than others". Looking forward to the future, all employees of the company will, as always, repay the society with "first-class management, first-class quality and first-class service".